You all remember little Han don’t you? If you’re a loyal reader, you’ll know him. 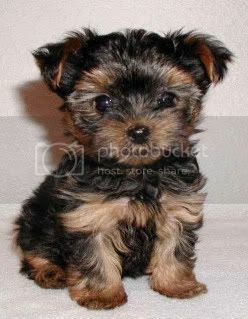 And most of the searches on my blog are for Yorkie pups. So let’s review – in case you’re new. Han’s mom called me last spring. I work with photos when I talk to animals and his original photo was one of the saddest I’ve ever seen. This puppy was under a year old, had as swollen face due to allergies and a bad gut. He couldn’t walk more than a few yards without sitting down to rest. I got her away from the “well meaning vet” and with a vet I knew could help him. My client bought her pup because he has hair instead of fur. Her son is allergic to dog fur, so she did some research and found this breed to be good. She found a “breeder” and got her new puppy. At the time, Oregon had no laws to speak of to control animal breeding. I don’t think what we have now is sufficient. I am not going to quote it now because I don’t have the exact numbers but will post it later. Something like you can have up to 50 intact dogs in order to be called a breeder. Anyone can be a breeder and there’s big money in it. Choose a popular adorable breed and then breed the sh*** out of her. Soon after my client bought Han, his brother was returned to the breeder. The breeder then called my client to see if she would like to add to her family. She wisely said no. OK so, I got off track but this little guy is now 18 months old, been to several vets, and recently had his spleen removed. The spleen weighed a pound and Han only weighed 4 pounds going into surgery. As the saying goes “you do the math”. I’m amazed at what we do for our animals. My client works two jobs, literally early morning to late into the night so that she can pay for his vet bills. He’s with a holistic vet and also a specialist now as he has an issue with his blood. I think it’s his red blood cell count. My client speaks English well, but is not from this country. When she gets excited or upset she tends to talk fast. I try to keep up. 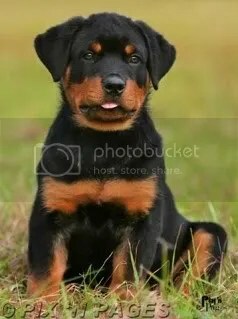 I’m furious that these puppies are being allowed to be bred and sold. The topic of how much she originally paid for Han hasn’t come up, but I know she never expected to be working this hard for a little sick dog. A dog she has come to love and adore just like one of her own kids. A dog who was sick right out of the gate. I will continue to post updates on Han. And I will say that he is feeling much better now that his spleen has been removed. That is all the info I have on his current condition though because my client has no time to call or email me with specifics. She’s working. Do you remember Han? He is the year old puppy who has seen the inside of a vet’s office more often than he’s marked a tree. Why? Because he is sick. He was born with a severe disadvantage. I could speculate, but I don’t know for sure. Maybe the fact he came from a puppy mill had something a lot to do with it. I don’t know how puppy mills work for sure. I do know that they over-breed the “cute ones” and finally end up with litters of puppies that aren’t healthy. That dang in-breeding. You know, you may have met someone sometime that you suspect could be the product of “in-breeding”. Well imagine you’re really adorable at birth – but have serious defects internally from making sure you’re really cute. Anyway – little Han here almost died. First he had the journey with the well-meaning but totally inept veterinarian, who just about killed him. The vet was convinced that the puppy had cancer and his last attempt at a biopsy, nicked the Hans’ kidneys – sending him straight the the animal ER. Nice. I suggested to my client and to ANYONE who is seeing a revolving door with their vet, to seek out the opinion of a holistic vet. I didn’t believe that Han had much time left. Seriously. Vet #1 was on the verge of killing Han with “kindness” and then blaming it on “cancer”. So Mom of Han visited the holistic vet and as we sit here – some two weeks later – Han is not only doing well, he’s going to most likely lead a normal life. His problems were properly indentified, they had nothing to do with cancer and he looks great. The puppy with the puffy eyes is now clear eyed and well, smiling for lack of a better word. This family has been through hell with the poor puppy. And why? Because somewhere out there in our state where it’s still legal, a “breeder” over-bred their dogs out of greed. Greed for the breed. Make sure what you’re getting. Because you might not get the healthiest “pure-bred” out there , and you might end up caring for a very sick pup. Or do what Hans’ brother’s humans did – return him. Wonder where he is now? AGAIN, THIS ISN’T MY CLIENT OR HIS PHOTO. MY REAL PHOTOS KEEP BEING STOLEN. They’re Puppies! They get into things! This is Nicholas. He isn’t my client, but he looks a bit like him and is approximately the same age. Nick’s parents called me in a panic over the Memorial Day weekend. Their beautiful puppy had eaten – magnets. Now my clients are the best of dog “parents”. I hate the term “owners” and they don’t much care for “parents.” But Nick here isn’t “owned” by anyone. Nope. He’s a spirit unto himself with a mission and choices. As all animals have. We may view our animal friends as property since we buy them food, take them to the vet, and consider they basically “dumb”. And I mean that in the kindest way. Because truth be told they are here for us and are here to teach us something, or simply be a constant companion. I think the latter can be said for anyone who has had or loved a dog. They are simply one-of-a-kind and I wish at times other humans could hear the hilarious bits that I hear. But I digress. The humans of your Nick here were out of town. They had a sitter for him, but somehow (and I would think it wouldn’t take long) he got into some powerful magnets. He swallowed them. He told me later he liked the texture on his tongue and down they went! But then, something went really wrong. When the humans of this dog returned, they noticed he was visibly ill. I’ve always credited these humans with being on top of it with their dogs and they rushed him to one of the finest vet hospitals over 40 miles away from their home. They vets performed surgery then and there and found three magnets in his tummy – and one in his colon that had found their way to each other. This ripped through Nick’s stomach and colon. While they waited, Nick’s humans asked me to speak with Nick and get an idea of his thoughts on the situation. He told me he had not been here long enough to teach. So he wanted to fight. He told me “the body is storng” which indicated to me that he was going to pull through. He was supposed to be in ICU for puppies for three days. But on Day Two he was eating! He is home now and doing very well. But the moral of the story remains: keep things that might be shiny and edible away from your puppy!! And if you think puppy is acting strange? Get him to the vet. If these humans had not acted as quickly as they did, young Nick here would be in spirit. * Note: Due to the stealing of my personal photos, again this isn’t the dog I am writing about, and this isn’t his real name. Thank you to the person who posted this photo so that I could “borrow” it. I have had the hardest week. 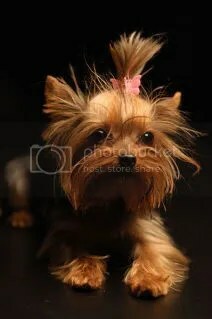 I have a new client who bought a Yorkie (like this one) from a “breeder”. The “breeder” told her that this was a second litter dog between the mom and dad Yorke’s. She just had the two dogs. Yeah. right. This little client of mine has suffered his entire life. Which is just a year. He has an “undetermined infection” which has caused his tummy great discomfort. He has had more tests done (that have shown nothing) than most dogs have in a lifetime. He has two human boys who love him and are scared to death he’s going to die. Cool huh? They got a Yorkie! Wow. A dog, no a puppy that doesn’t want to play! Imagine. Well this little guy told me that he loves his human brothers but that his tummy hurts him. All the time. So he acts like an old dog. He lies around most of the day and feels like crap. The “breeder” called my client 6 months later to see if she wanted another puppy. My client (who is not originally from this country but is by no means stupid) said she understood it was too soon for there to be more puppies. And the “breeder” said there had been an accident. My client here “Han” as he is called, is living a life of misery. And his “breeders” brought more puppies into the world much sooner than they were supposed to. They thought that Han”s mom would jump at the chance to have another puppy. The truth is that every day thousands of dogs are put to death in shelters around this country. Thousands of innocent sweet faces gone. Many potential best friends sent to spirit. The dog doesn’t really care. They’ll come back in a more attractive “package” so that some human will fall in love and learn the lessons that this dog has to offer. And Han here? Well he’s been introduced to a holistic vet. And just in the nick of time. I think his life will improve and he’ll become the puppy his human kids wanted in the first place. But if his mom wasn’t determined, smart, an even fighting a language issue – Hans here would be gone too. She is very brave and very strong. The mom of my client. So if you MUST adopt a bred dog. Be real sure what you’re getting. And if you have a choice, check out your local shelter first. There will be someone there to fall in love with. Remember to spay and neuter your own animals. That’s a start.